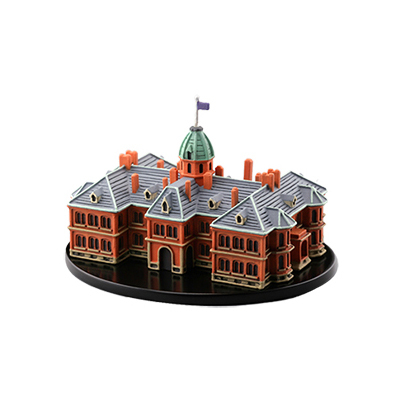 The Former Hokkaido Government Office Building, which is lovingly known as the Red Brick Office, was completed in December 1888. Its design is neo-Baroque in the American style, using around 2.5 million bricks and many of the materials used to build it was from Hokkaido. An octagonal dome stands on the rooftop, and the building was one of the few large buildings in the country when it was built, with frontage spanning 61 meters, depth at 36 meters and its height to the top of the tower at 33 meters. The Red Brick Office, which was designated as a nationally important cultural property in 1969, has as a symbolic presence in Hokkaido, and its verdant garden is well liked by the residents as an oasis in a neighborhood of office buildings. Noboribetsu Onsen is among the leading hot springs in Hokkaido, which is a hot springs paradise. The most attractive features are the ample supply and the rich quality of the hot springs. The supply of hot springs exceeds over 10,000 tons a day, and the quality of the hot springs, which is known to be the best in Hokkaido, is said to total 9 or even 11 types. Given that this type of hot springs area is rare, it is known as an onsen department store. The hot springs is said to have opened in 1858, with the etymology of the word Noboribetsu hailing from the Ainu language meaning white, clouded river or a river with strong colors, which reveals the gushing of hot springs that was abundant enough to change the color of the rivers, way back from the olden days. White ice floes, which are a major symbol of Hokkaido in the deep cold of winter, appear in the waters near the Sea of Okhotsk around late January. The Aurora is a special sightseeing icebreaker for navigating the ice floes, allowing the people on board to enjoy a fantastic landscape of ice floes surrounding them on all sides. The ship is also used in the summer as a sightseeing vessel for touring Shiretoko. 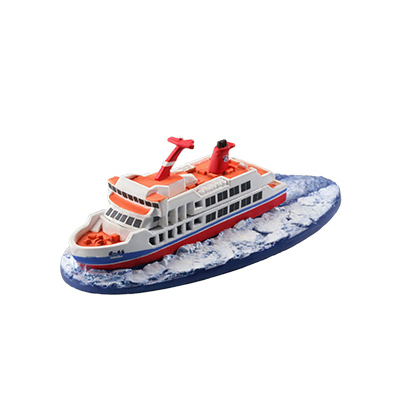 The original purpose of ice-breaking ships is to open up routes through ice-covered sea and transport people as well as objects. The Aurora utilizes the technology of the Shirase, an research and observation ship for the South Pole, advances by breaking blocks of ice with the weight of the boat. How about experiencing a scene that can only be seen aboard the Aurora, such as the blinding light created by dramatic floating ice floes, floating ice that glows red at sunset or wild animals standing still on ice floes? The wooden statue of a bear is famous as the representative motif of Hokkaido. 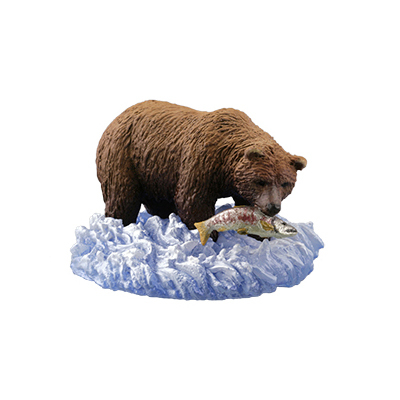 The bear in Hokkaido is the brown bear. It is Japan’s largest terrestrial animal, and lives only in Hokkaido. The Shiretoko Peninsula is one of the brown bear’s main habitats. The brown bear is omnivorous animal that eat plants such as the roots and leaves of grass and nuts, in autumn when salmon swim upstream, these bears can be seen standing on the shore alongside the river or near the river’s mouth, trying to catch and eat the trout and salmon traveling upstream. Not only the brown bear as a top-level predator, but the salmon as a prey, both are indispensable for the ecosystem in Hokkaido. “HATSUNE MIKU” that was created based on the voice of voice actress Saki Fujita is the software to sing a song on the computer by inputting notes and lyrics. 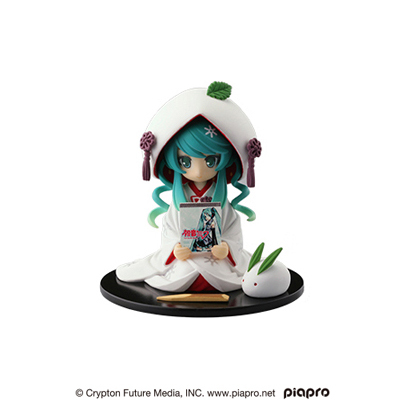 Crypton Future Media, INC., the company is based in Sapporo each year unveils “SNOW MIKU”, a snow-white “HATSUNE MIKU” using snow as its theme and a character to enliven the winter season in Hokkkaido to coincide with the Sapporo Snow Festival. The Strawberry White Kimono Miku was created in 2013 from submissions sent into a costume design contest based on the theme of sweets from Hokkaido. It is one of the famous ekiben (lunch boxes sold at station). The original Ikameshi, for which Mori Station is known, was created in 1941. 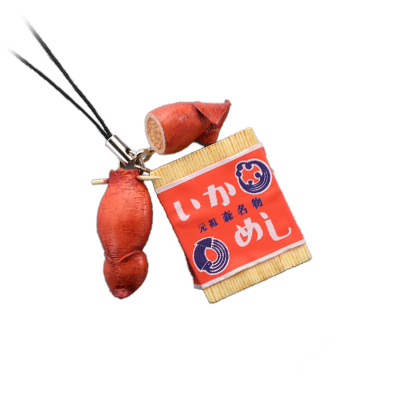 Abe Shoten, which sold ekiben at Mori Station of the Hakodate Main Line, used the smaller Japanese flying squid as it was not used despite the big haul seen during World War II, stuffed it with raw rice, closed it with toothpicks and then flavored it by boiling the squid in its secret sauce. 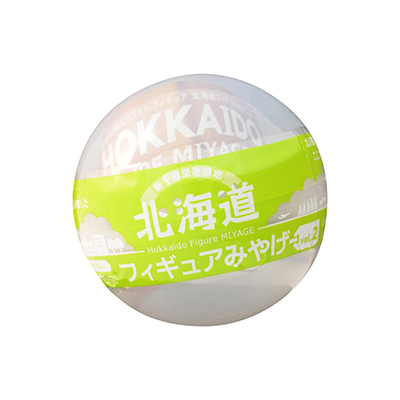 The way it is made as well as its size has virtually remain unchanged since it was created, and it cannot be bought anywhere except for at Mori Station, stores in front of the station and at special events at department stores, in an effort to sell them fresh as soon as they are made. This obsession is behind the reason for its flavors, which have been loved for many years. 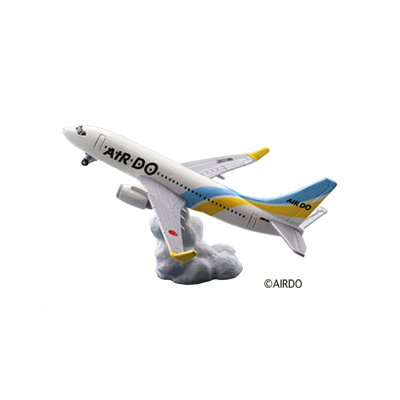 AIR DO, which is well known as an airline company that connects Hokkaido and Honshu, adopted the Boeing 737-700 with a new airframe design on October 28, 2012, to be the first plane to fly on the Obihiro-Haneda route. The new airframe design is accented by corporate colors, light blue and yellow. Bear Do, AIR DO’s mascot, is also incorporated into the design and is painted on the tip of the winglet of the first plane as well as the side door located toward the front of the plane, making for a friendly design.